This decision is interesting for several reasons and I will address all of them. The first is the boilerplate phrase in the last paragraph of the decision.-“must be handled in an expeditious manner”. These boys must not eat ice cream at home. It would never get there frozen. The case was decided May 2, 2006 and the VET will not be SC ’til 2008-09. Now, the real reason to look at this claim is the fact that the VET put in a legit. claim right when he got out (8/70)but didn’t realize the paper/medical jungle he was entering and got lost. He failed to appeal and that decision is dead in the water unless he gets a good lawyer. I did something similar to this ,too. It was a crime then and still is today in my mind. No one seems to want to provide meaningful assistance to us. They file our claims, bob their heads up and down knowingly and make tut-tut noises. They tell us this is mostly a time process and that we have a chance of picking the winning ticket. Sometimes they tell us we don’t stand a snowball’s chance in hell. There seems to be no nuts and bolts talk, no success ratios, medical requirements/records needed. They file the claim and send you on your way. Don’t call us, we’ll call you. NEXT? This goes on every day-today-2008. As we speak. The second thing that I want you to look at is WHAT THE VET ASKED FOR. His claim here was if enough new information to reopen his old 1970 or 1989 claims had been submitted. The ACTING VLJ agreed that enough new stuff had been submitted and REMANDED this back to the RO. An acting VLJ is just that -a substitute teacher. He/she has not been given the standard briefing from the Head Honcho on denying this crap. The VLJ now controls this case and could have rendered a decision up or down on SC if all the evidence had been submitted correctly. But most of all the VSO from AM. LEG. should have asked for the SC- i.e. it should have been the “Whether new and material etc.” and followed by 2.) 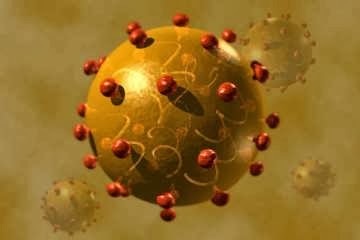 Entitlement to a compensable rating for Hepatitis. What happens now, and this was 2006, mind you, is that the REMAND sends it back to Columbia, South Carolina for development and examinations. After all that and a rotten nexus provided courtesy of the RO’s examiner, it is sent back to D.C. to Acting VLJ A. P. Simpson, who, by now is no longer an acting VLJ but a full fledged VLJ. He will make his decision and issue it. If the VET is granted SC it still has to go back to the RO for a C&P exam and over to ratings for your 20 or 40% ripoff. So, in summary, this poor VET will be lucky to see some $ by Sept. 2008 which is now-2 YEARS later. That is what the VA considers “handled in an expeditious manner”. You may die before they give you the $. If you do, they don’ t have to pay you, your wife or your children under 18. Have any of you ever seen a three card Monte game? How about which walnut is the pea underneath? Be careful what you ask for. VA will grant that which you ask if you have proved your case-and not a dime more. Some would call this process having the deck stacked against you. The VA calls this a Non-Adversarial Judicial Forum in which the benefit of the doubt is accorded the VET. Their motto must be: “Justice delayed is better than Justice denied”. It’s bait and switch justice in my book, but my lay testimony has no probative value and is therefore meaningless. To Opine here would be useless. 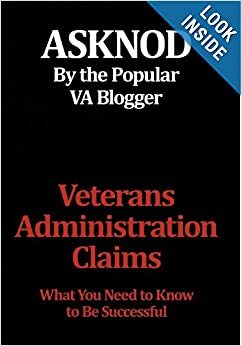 This entry was posted in BvA HCV decisions and tagged HCV, Help with vA Claims, Service Connection, VA claims. Bookmark the permalink.